Will it make sense for you to buy or sell your home in 2019 or is a refinance or renovation a better option? All signs point to a continuation in 2019 of the market adjustment that started in the second half of 2018. 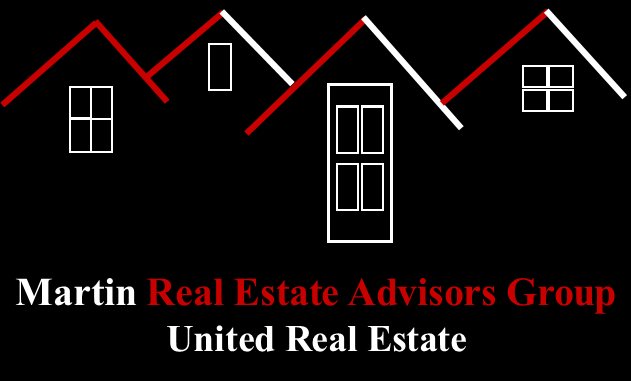 The local real estate market is evolving as we speak and if you are thinking about buying or selling a home, or refinancing, or renovating, you will want to understand the dynamics of the market so that you can make an informed decision and in turn maximize your Real Estate Return-on-Investment. Toward that end, we are providing a Monthly Market Insight, including a monthly snapshot of the local real estate market with notable changes occurring as the year progresses, including market statistics and insights in summary from 99 economists, market analysts, and real estate experts. 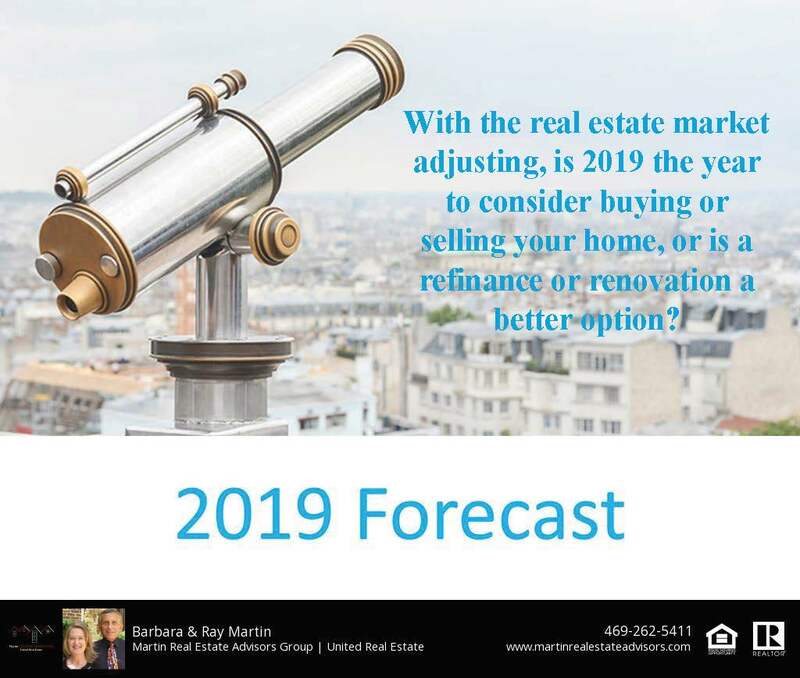 If you would like to receive our Monthly Market Insight, are considering a real estate transaction in 2019 and are curious what the market may hold for you, or would like to have a no-obligation discussion about real estate, call a Real Estate Advisor | REALTOR® from Martin Real Estate Advisors | United Real Estate at 469-262-5411 or just complete the GET IN TOUCH form on this page. We would be honored to assist you!